While states like California are benefitting from lucrative high-tech mobile gadgets for legal marijuana (pods of cannabis oil snap into place on pen-like “vapes” equipped with Bluetooth capacity), Louisiana is only recently getting into the cannabis biz. Available cannabis products are debuting this summer (stipulated for medical purposes only, to date). 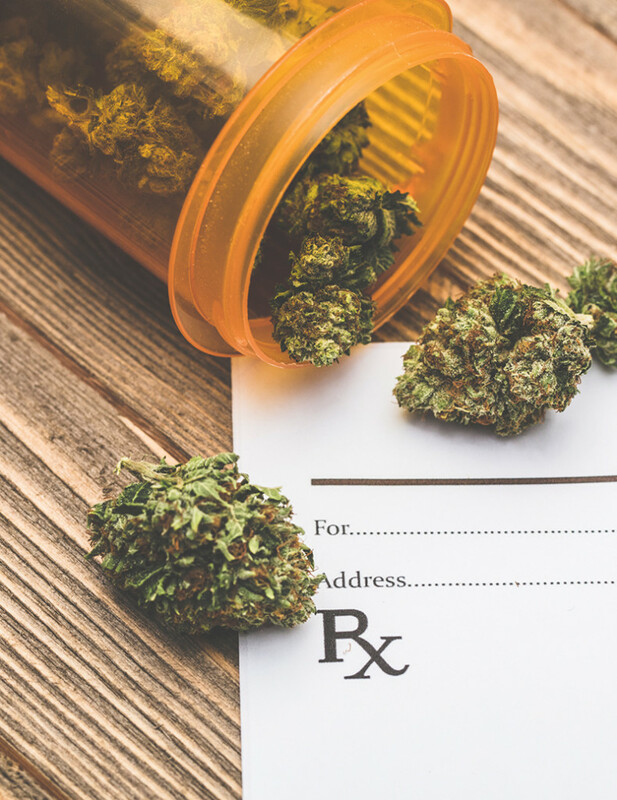 In Acadiana, pharmacy licenses for medical marijuana have been granted exclusively to Green Leaf Dispensary in Houma, The Apothecary Shoppe in Lafayette and Lakeshore Medic Pharmacy in Lake Charles. Forms sold (non-smoking) can only be dispensed to patients with a doctor’s recommendation form. Significant expansion of the medical conditions under consideration include PTSD, autism, glaucoma, Parkinson’s and intractable pain. A life-sized, forged steel sculpture of Creole accordionist Amédé Ardoin has been installed at the St. Landry Parish Visitor Center in Opelousas, 75 years after his death. Never speaking a word of English, his famous French waltzes inspired countless dancehall romances (cajuntravel.com/visitor-center.php). Residents anticipating the new family-style bar and grill, Main Street Grub & Pub (719 S. Main St.), welcome the late-night amenities and comedy shows (unique in Breaux Bridge), outdoor seating and music series, family karaoke nights and desserts (co-owner, Shalana Patout, was a runner-up on Food Network’s “Cake Wars”). Recent openings in Breaux Bridge include the April debut of a sushi spot that originated in Youngsville last year, Yoka Japanese Sushi Bar & Steakhouse (930 Rees St.), serving creative sushi rolls, sake and hibachi. The new Cochon Cannery (105 N. Main St.) by Denise and Dustie Latoilais (well-known vendors at local farmers markets and festivals) offers their popular bacon jam and unique gift sets. Checkers (1932 Rees St.) is another newcomer, and the region’s best beef jerky is served at a one-of-a-kind drive-thru, Acadiana Jerky Co. (102 Refinery St.) owned by master smokers, Bobby and Shawn Viator. They designed the adorable little building made with rusted roof panels to resemble an old train depot (tip: great smoked chicken salad and meaty boudin). Each year, Lake Charles celebrates the 4th of July with a bang. Voted one the top 20 events in July by the Southeast Tourism Society, events include a parade, ball, full day of family-friendly activities and, of course, a fireworks celebration. The Tarpon Rodeo is an annual international competition and the oldest fishing tournament in the country. In addition to the tournament, participants and visitors can enjoy music, food and arts and crafts from around the area. Pre-registration for the tournament is open until July 15. The Bayou BBQ Bash is an annual BBQ competition and festival. Teams will cook chicken, pork, ribs and brisket throughout the two-day event, which includes a kid version of the competition. In addition, the bash will include arts and crafts booths and live music.